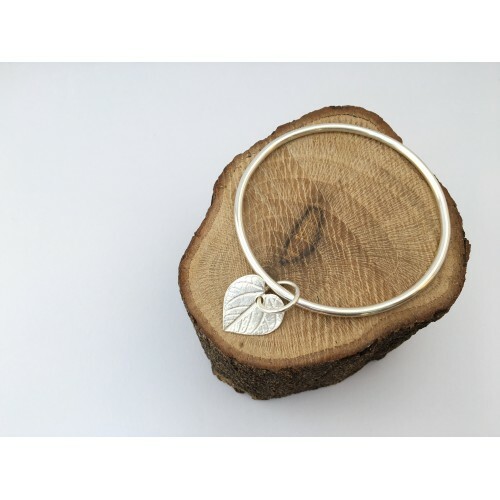 This simple and contemporary piece is very chunky but feminine at the same time. The heart shaped leaf was casted into fine silver from a real leaf. 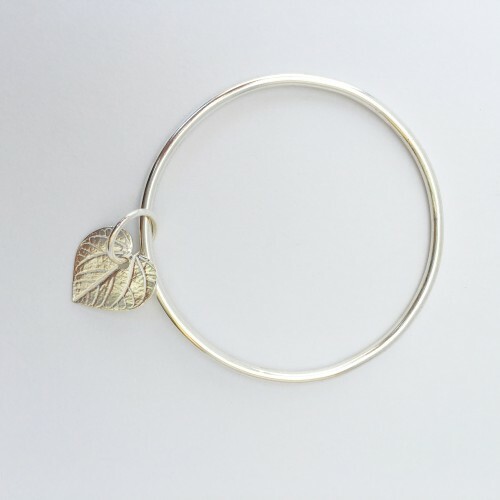 It forms a beautiful charm on a large jump ring that moves around the bangle. 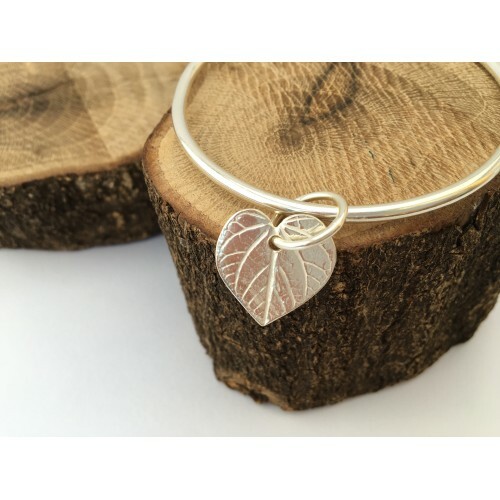 A great gift for Mother's Day, Valentine's or to commemorate love and friendship in general.